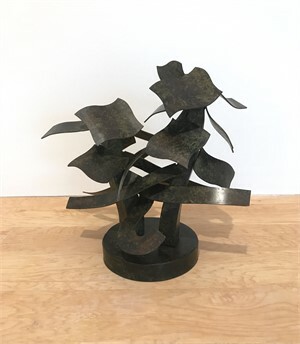 Renowned for his monumental sculpture created primarily for open-air public locales, Hans Van de Bovenkamp has been described as an artist-mystic whose work -- with its signature power, lyricism, and grand proportions -- heightens the viewer's sense of imagination and discovery. 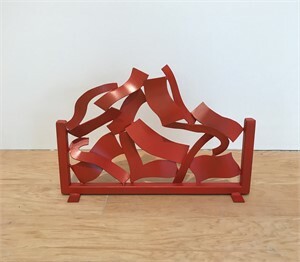 A Dutchman and a youthful immigrant to Ontario, Canada, and then the United States, he was a part of the avant-guard Tenth Street scene in the New York City of the 1960s, an adherent of Abstract Expressionism, and has maintained residences in New York City and Sagaponack in the Hamptons. 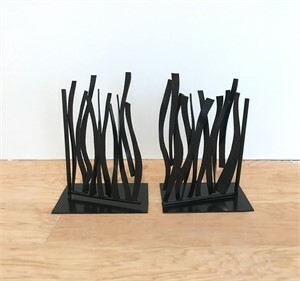 Mr. Van de Bovenkamp has earned an international reputation over the past 55 years for designing, fabricating, and installing over 100 unique commissioned sculptures and fountains in collaboration with architects, cities, museums, and private individuals. His works can be seen in public, civic, corporate and private collections. 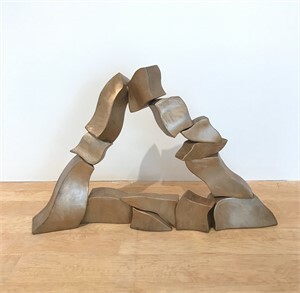 Recent solo exhibitions include Grounds for Sculpture, Hamilton, N.J., the Danubiana Meulensteen Museum, Bratislava, Slovakia and Season of Sculpture, Sarasota Marine Park, Florida. 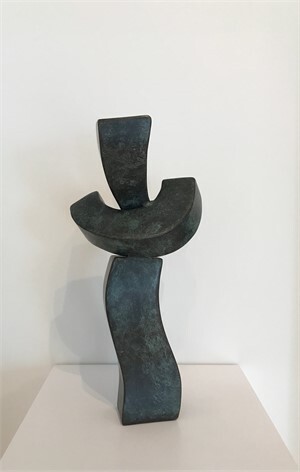 Renowned for his monumental sculpture created primarily for open-air public locales, Hans Van de Bovenkamp has been described as an artist-mystic whose work -- with its signature power, lyricism, and grand proportions -- heightens the viewer's sense of imagination and discovery. A Dutchman and a youthful immigrant to Ontario, Canada, and then the United States, he was a part of the avant-guard Tenth Street scene in the New York City of the 1960s, an adherent of Abstract Expressionism, and has maintained residences in New York City and Sagaponack in the Hamptons. 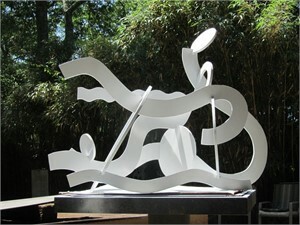 Mr. Van de Bovenkamp has earned an international reputation over the past 55 years for designing, fabricating, and installing over 100 unique commissioned sculptures and fountains in collaboration with architects, cities, museums, and private individuals. His works can be seen in public, civic, corporate and private collections. 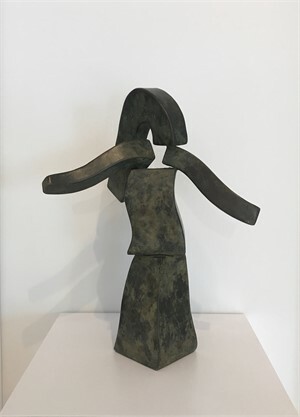 Recent solo exhibitions include Grounds for Sculpture, Hamilton, N.J., the Danubiana Meulensteen Museum, Bratislava, Slovakia and Season of Sculpture, Sarasota Marine Park, Florida.